Become a supporter of The Pu'Shing Bhu'Tons Series by clicking here.. 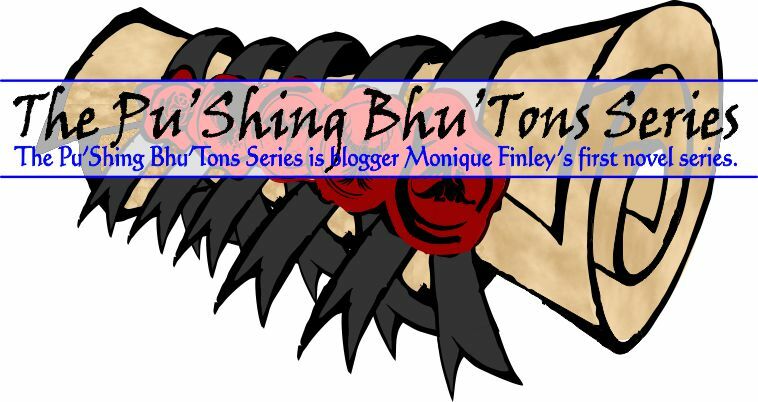 The Pu'Shing Bhu'Tons Series is a work of fiction created by blogger Monique Finley. The Pu'Shing Bhu'Tons Series supporters receive email exclusives (including release information), can comment on the blog while the story unfolds, and receive discount codes for print and digital editions.